This will hurt Kliff Kingsbury and crew for a long time. On 4th-and-goal from the Red Raiders’ 4-yard line, TCU quarterback Trevone Boykin threw too high to Josh Doctson, who tipped the ball up into the air. 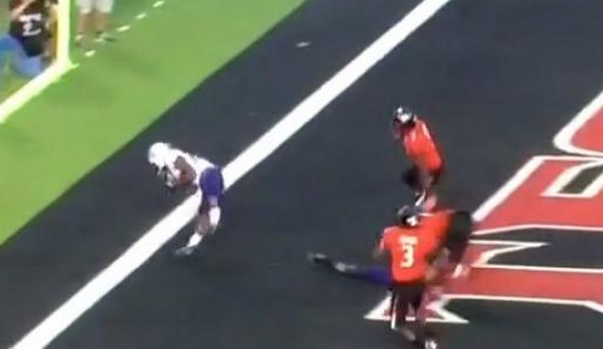 TCU tailback Aaron Green was able to catch the ball in the back of the end zone. Boykin actually had Green wide open from the beginning, but forced the throw to Doctson.